Did you know Facebook coupons are more likely to be shared among friends and can increase the size of your restaurant’s network overall? According to a study from Whaleshark Media, 74% of active digital coupon users indicated that they would be likely to try a new brand if they received a coupon or promotion code. There are many ways to utilize digital coupons to reach your customers and increase revenue. It’s time take advantage of digital coupons. What are you waiting for? Let’s get started! As discussed in part one of this series, Facebook ads allow you to efficiently reach an audience in the few hours leading up to when they make decisions about where and what to eat. Restaurant marketers have the ability track website visitors back to their Facebook profiles and then target those interested users, as well as target and identify custom audiences based on the coupon offer that interested them in the first place. For example, by using data from the pixel tool to customize Facebook ads specifically based on website interaction, The New York Times has seen a steady 25% reduction in cost per subscription and more than doubled the volume of its subscription conversions. Isn’t that amazing? The power of pixel targeting is truly incredible! To view more success stories of advertising on Facebook, check out these stories. 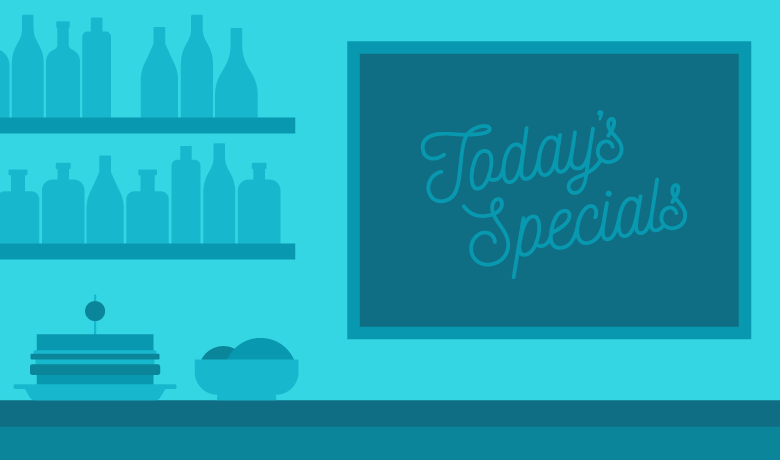 To review some of the ways restaurants use a coupon promotion on Facebook, check out part one in our series. Marketing agency McClearen Design Studios leveraged the existing Facebook fan base of Cinco de Mayo Mexican Restaurant and posted a “Buy One Get One Free” offer on the Cinco de Mayo Facebook page. 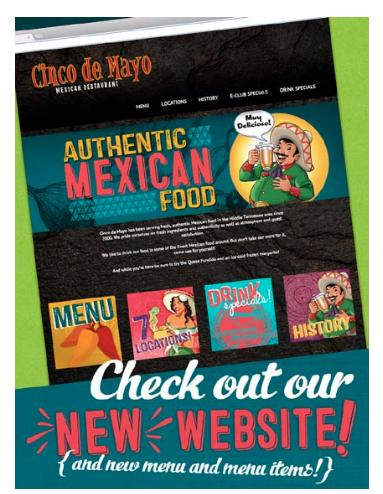 • Increase Cinco de Mayo Mexican Restaurant visits and revenues at their seven Tennessee locations. • Increase interest and “Likes” on their Facebook page. • Increase email club subscribers. The mobile friendly coupon encouraged users to share the offer with Friends and Family on Facebook. Using That’s Biz coupon technology, customers get the coupon offer by clicking the link in the Facebook post and then completing a brief signup form. The signup form also gives the customer the option to opt-in to the Cinco de Mayo email club. Upon submission of the form, the coupon is immediately emailed to the customer with a link to the redeemable coupon for any location of their choice. From the promotion data 1 in 3 customers requesting the coupon came into the restaurant and redeemed the coupon offer. 1 in 2 customers opted-in to the Cinco de Mayo email club. 1 in 10 customers got the coupon because it was shared with them. Read more about this successful case study example here. Facebook ads allow you to efficiently reach an audience in the few hours leading up to when they make decisions about where and what to eat. Tracking and targeting customers based on specific interest and website engagement is a strategic way to achieve overarching goals for your restaurant. Digital coupons allow you to maximize your reach and increase overall revenue. Digital coupons are more likely to be shared among friends and can increase the size of your restaurant’s network. For more information about our company visit Facebook Ad Services. We would be happy to help out with this entire process! Look out for our next post Amplify Facebook Targeting Power with Digital Coupons: Part 3 to see more examples of how restaurants are using strategic digital coupon promotion to increase revenue.